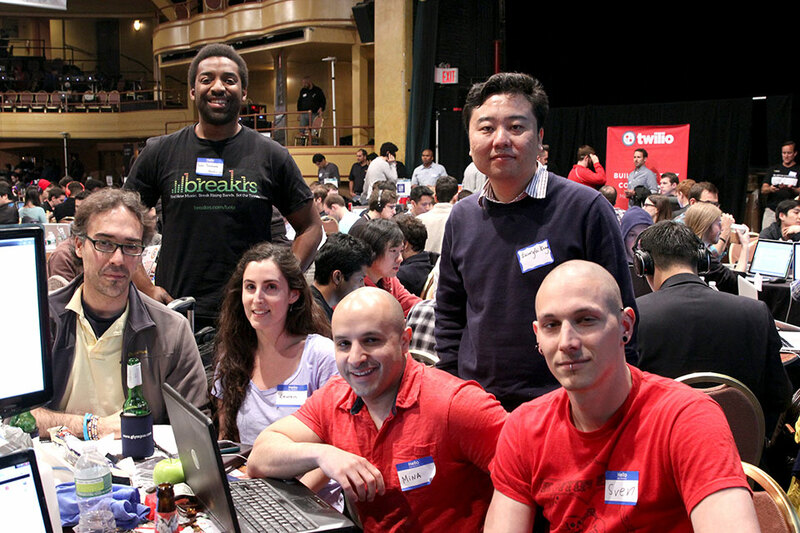 The Disrupt NY 2013 Hackathon has been underway for a few hours now and we’re already seeing a bunch of cool projects. Team Geem is building what it calls a “Pandora for Exercise.” The service, which will hopefully be ready in time to be demoed tomorrow, will create exercise programs that are tailored for the individual user. The usual exercise DVDs, Geem believes, are just too boring and repetitive, so a web-based exercise service that’s fully customized can help break through that routine. Also, unlike DVDs, Geem could offer users a wider choice of options, so if you want to do some cardio and work on your abs, and also do a bit of yoga, Geem will have you covered. Users, the team tells me, will be able to watch pre-recorded videos, but the cool part of the service is also that it will enable ad-hoc classes that teachers can set up through the service. While I was talking to them, Geem was looking at using TokBox’s OpenTok WebRTC platform for its service. What’s nice about this is that users could also beam their video over to the instructor, so if you just can’t get that crane pose right in your yoga class, the teacher can see what’s wrong and hopefully help you from crashing into the ground in your living room. The team also plans to use the Django framework and possibly build a Roku app to get their service into the living room. It wouldn’t be 2013 if the five-member team, including Mina Azib, Sven Hermann, Livio Dalloro, Alan Johnson, Lauren Dalloro and Guanglei Xiong, wasn’t also thinking about adding some social features to its service. Users, they say, will be able to see what classes their friends are attending and receive notifications when their favorite instructors are about to teach a class (with Facebook being the social backend for the service). Users, of course, will also be able to rate their instructors. Most of the team members currently work for Siemens, and Alan Johnson is working on his own startup, Breakrs, a gamified platform for music discovery, which is currently in beta.